Milk chocolate Ingredients: cocoa mass, cocoa butter, milk powder, vanilla, soy lecithin, sugar, whey powder (milk), butter oil (milk), acacia gum, titanium dioxide, beetroot red, sulphate ammonia caramel, copper complex, mixed carotines, curcumin. Cocoa soilds 34%. 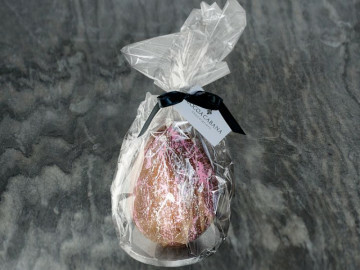 White chocolate Ingredients: cocoa mass, cocoa butter, milk powder, vanilla, soy lecithin, sugar, whey powder (milk), butter oil (milk), acacia gum, titanium dioxide, beetroot red, sulphate ammonia caramel, copper complex, mixed carotines, curcumin. Cocoa soilds 28%. Dark chocolate Ingredients: cocoa butter, cocoa mass, soy lecithin, whey powder (milk), butter oil (milk), acacia gum, titanium dioxide, beetroot red, sulphate ammonia caramel, copper complex, mixed carotines, curcumin. Cocoa soilds 56%. For allergens see ingredients in bold. May contain nuts, celery & sesame seeds due to manufacturing methods. 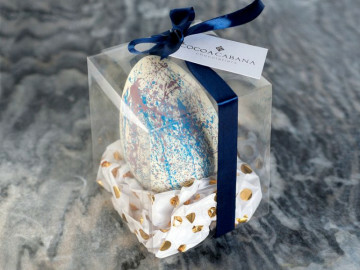 Handcrafted by Didsbury's Cocoa Cabana, this Easter lolly is the perfect sweet treat! 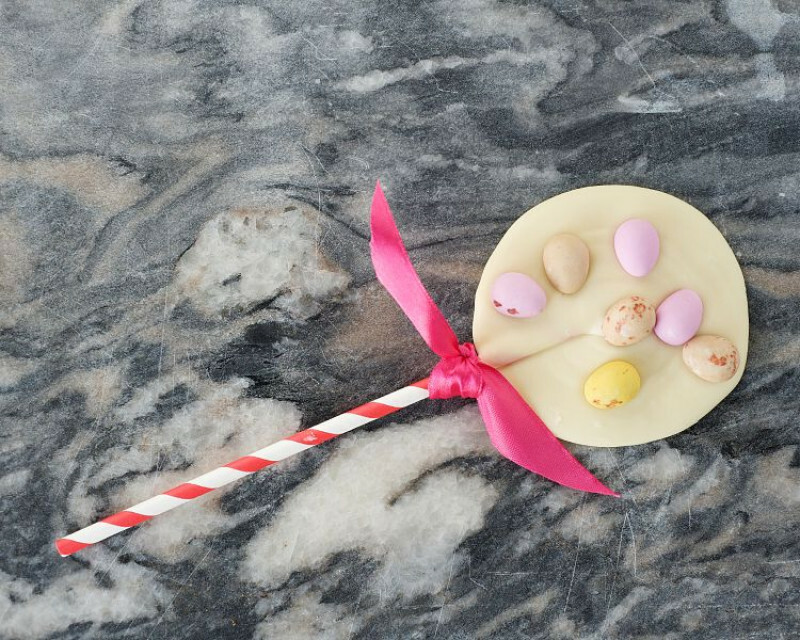 Decorated with delicious mini eggs, alongside beautifully smooth white chocolate.